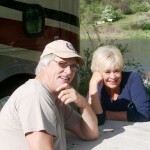 The modern camper – in an RV or tent – seldom travels or camps without their tablet or smartphone. Are you like that? Swiftwater RV Park‘s guests of all ages enjoy their devices while relaxing by the Salmon River or exploring outdoor activities in our magnificent area. Along the way, we’ve discovered some cool outdoor activity apps and thought it would be fun to share. With a new cell tower nearby, Swiftwater RV Park guests with Verizon or Sprint service can now enjoy decent quality calls in the campground & surrounding area. Of course, we still provide free WiFi , but if you have lots of data – you might benefit from these family & kid friendly apps to further enhance your stay at our rustic & rural campground outside of White Bird, Idaho. The ultimate trail finder! Explore, record, interact, follow along, & track. AllTrails app includes searchable maps, photos, reviews, plus users can save their favorite trails, whether you’re on an atv, a mountain bike, or on a simple hike. Download offline maps & start your outdoor adventure. time skies. Voila! You can then explore & identify in real time all those stars, constellations, their position – including solar system planets, the Sun, the Moon, dwarf planets, asteroids, comets, satellites & more. Swiftwater RV Park has good southern exposure to starry nights, even though we have an all-night security light at the entrance to the Park. To enjoy even better nighttime skies, just walk over to the overflow area adjacent to the campground. Did you know I have a past life in the flower business? So naturally, this plant identifier app – as well as the next one on the list – is right up my alley. It’s easy! Give it a whirl if you’ve ever been curious about a particular plant. Simply snap a picture of the plant in front if you, wherever you are in the world (outdoors in the wild, at Swiftwater RV Park, or even a nursery). This app has a database of over 500,000 items! It will identify the plant & tell you what it is in seconds. Includes plants, trees, flowers, Cacti and even mushrooms. Flower power! Or better yet, Flower Curiosity! If you’ve ever wondered about the name of a flower this app will help you discover its name. Choose flower’s color, its habitat, and count the number of petals. These 3 steps narrow your options from more than 900 to a couple of dozen. Then scroll the list and choose the right one. * I haven’t tried it yet, but the app FlowerChecker is available on both Android and iOS platforms. 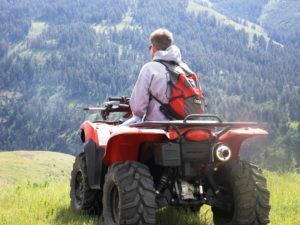 Most suitable for short-distance hikes, or even drives, such as around Swiftwater RV Park in Idaho. It needs internet access, ….so Verizon users with plenty of data will find this app useful. Also, it has ‘follow me’ mode, which allows you to record your route and then analyze how much you’ve progressed, where exactly you’ve been, etc. 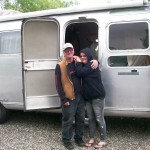 We were on a return trip home, travelling at night through mountains (yes, pulling a travel trailer! ), and found this app super helpful. *An app named ‘My Altitude’ is the popular one on an iOS platform though think it’s also on Google Play. Whew! That’s a lot of outdoor activity….you’ll be having so much you’ll want to stay longer. Wait…but first, you have to have a reservation! It’s easy…reserve a camping spot with us at our online booking link. Happy Camping and hope to see you soon!